I first came across Aztec Diamond a few years ago on Facebook and took a look at the website. What caught my eye was simple – the models looked fantastic in the products. I know it’s a running joke among equestrians that the pristine outfits on ladies in ads for equestrian products would quickly be filthy working on a yard but I don’t see anything wrong with trying to look good while doing what you love. As part of my recent blogging opportunity with Horseworldeu.com I was invited to pick some products to try out and review. Along with the Horseware Riding Tights, I also chose the Eskadron Competition number set. My reasoning for this was this was I felt another new innovative product. I was recently chosen to be part of a group of bloggers asked to review products by Horseworld (horseworldeu.com). As part of the group I was asked to choose products from the website to use and review. We were given a huge range of choices but I wanted to make sure I reviewed something that was new or of general interest so I asked a few equestrian friends for their advice. The general consensus was that riding tights / riding leggings are a product that has really exploded on to the market in the last year and one that people were curious about in terms of fit and use. Magic Brush Is ….Kind Of Magic! 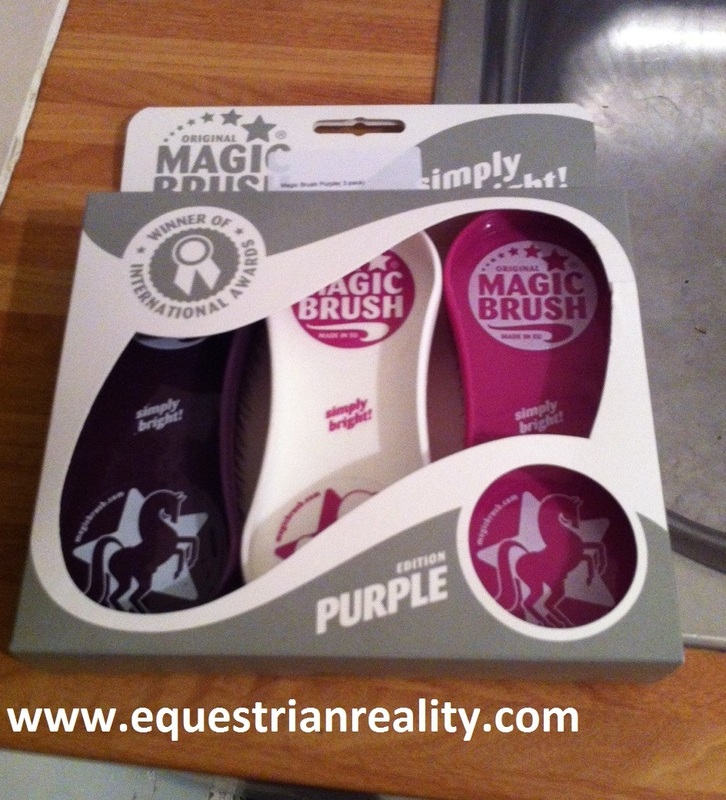 I found ‘Magic Brush’ in TRI Equestrian a while back while browsing. It was very like a brush that one of my friends is always raving about for getting hair out of saddle cloths. While I knew it wasn’t the exact same thing, I had a few saddle cloths and items at home in the ‘de-hair or get rid of’ pile so I decided to buy it in the off chance it could save them. To be honest this just serves to illustrate why I am rarely left unsupervised in any shop as I tend to be a danger to my bank balance.